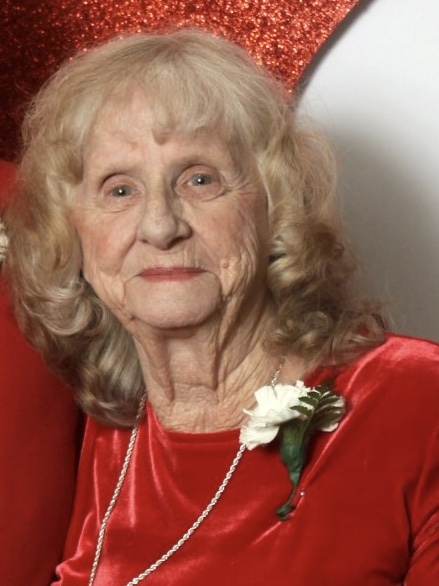 Beverly Grace Hunt, age 86, of Edgewater, died Saturday, January 12, 2019 at Halifax Health Hospice, Edgewater Care Center. Born in Baltimore, Maryland; Beverly moved to this area in 1964. A former stock clerk for K-Mart, Beverly retired after 20 years. A past president for the Bert Fish Medical Center Auxiliary for 2 years, Beverly served on the auxiliary for over 10 years. She volunteered at Halifax Health Hospice, Edgewater, and at the Edgewater Rescue. Beverly enjoyed playing cards, especially bunco. She enjoyed crafts, cake decorating, crocheting, reading and spending time with her grandchildren. Survivors include 3 children, William F. Roberts, Jr. of Baltimore, Maryland, Linda C. Hendricks and her husband, John, of Edgewater, and Richard Roberts and his wife, Patty, of Edgewater; 6 grandchildren, Cathy, Terri, David, Michael, James and Billy; 12 great grandchildren and 2 great great grandchildren. Donations may be made in Mrs. Hunt’s memory to: Halifax Health Hospice, 4140 S. Ridgewood Avenue, Edgewater, FL 32141.